How are Maths Lessons Taught at Mayfield? Counting Sessions – To develop children’s fluency, short counting sessions take place daily in FS/KS1 and frequently in KS2. Children practise counting forwards and backwards and in steps of different sizes, including fractions and decimals in later years. Discrete Maths Lessons – Most of the number aspects of the curriculum are taught through discrete Maths lessons. We are working towards a mastery approach to teaching mathematics. This means that we focus on topics, such as place value or addition, for a longer period of time to enable pupils to gain a deeper understanding of the mathematical concepts. Children are given opportunities to develop fluency, reason mathematically and solve problems. Cross-Curricular Maths – Many aspects of the curriculum, especially Measurement, Geometry and Statistics are taught through a cross-curricular approach. There are particularly strong links with Computing, Science, Geography and Art. Models and Images – To support children’s conceptual understanding, we use a range of models and images, including Numicon, straws, bead strings, place value counters, number lines, fraction boxes, Dienes’ apparatus. Speaking and Listening – Children are given frequent opportunities to discuss their mathematical thinking. Maths homework at Mayfield consists of two parts: Key Instant Recall Facts (KIRFs) and Maths at Home activities. As with reading homework, the most important thing for parents and carers is to support children’s enthusiasm and enjoyment of Mathematics. KIRFs – In 2013, we introduced Key Instant Recall Facts as part of the Maths homework policy. There was a noticeable improvement in children’s confidence and fluency with these facts. For September 2014, we have adapted the Key Instant Recall Facts (KIRFs) so that they are more closely aligned with the curriculum, with specific half-termly targets for each year group. We expect the majority of children within a year group to be working towards these targets. Children are expected to practise these facts at least three times per week. If your child is struggling to recall facts, please concentrate on a smaller number and practise more frequently. She also works closely with other schools, including Maths co-ordinators at other CB4 schools and the Cambridge Maths Hub (based at Comberton Village College). We aim to provide children with rich and exciting Mathematics throughout their Maths lessons at Mayfield. As a school, we are looking at ways of promoting deep learning to challenge all children. 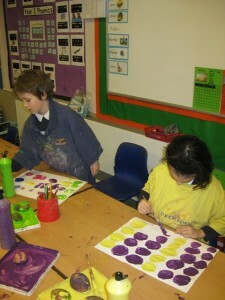 We also offer some opportunities for children to engage in Maths beyond the classroom. Children in Year 5 and 6 participate in the MA Primary Maths Challenge The Mathematical Association Website Teams of children participate in several inter-school Maths challenges. In 2013, we were invited to the Imperial War Museum at Duxford to attend the final of the Cambridgeshire Year 5 Maths Challenge. In the past, we have organised Maths Days, although we are now focusing on providing engaging and diverse opportunities for problem-solving throughout the Maths curriculum. 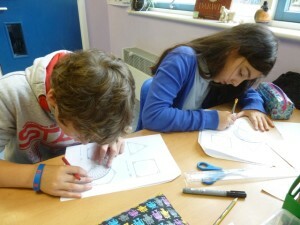 Many children in Years 4, 5 and 6 participated in an after-school Maths club last academic year. They tackled challenging problems and enjoyed a visit from Professor Imre Leader. There are loads of great internet sites for children to practise their Maths skills. Please let Miss Harbour know if you know of any that should be added to this list. BBC Website – good for everything – cbeebies, bitesize, schools etc. Murderous Maths – a really jolly maths website, great ideas.